Voyageur Flooring likes to share the results of our work with prospective clients. We have a nice before and after gallery on our website that allows you to scan through some recently completed hardwood flooring refinishing projects that we’ve completed in the Minneapolis/St. Paul area. If you’re considering refinishing your hardwood floors and you live in the Twin Cities area, call Voyageur Flooring or visit our website to set up a free in home estimate. Unlike some companies in the Twin Cities, we provide these estimates in the evenings and on weekends – ya know, when you’re not working! Take a look at the wear patterns in the before picture. This is fairly common in older homes especially found in St. Paul and Minneapolis Minnesota. We can help though – as the picture might suggest. Get a free estimate – we provide them in the evenings and weekends (ya know, when you’re not working). Often times the summer consists of taking trips to see relatives or maybe a vacation for your family. These trips and endeavors are what makes summer so much fun. Especially here in Minnesota, sometimes we live life as though we only have a few months of the year to accomplish so much. And rightfully so when you think about how long and boring winter can be. While you are out and about taking trips and having a great time, consider that your empty house is a great time to have your hardwood floors refinished by Voyageur Flooring. Even if you are gone for only a couple days, that’s usually enough time for Voyageur Flooring to refinish your hardwood floors. Don’t procrastinate caring for your hardwood floors! If you need a professional to refinish your floors, call Voyageur Flooring and we will work with your busy summer schedule to get the job done right. We have some great references that we’d encourage you to read (references). 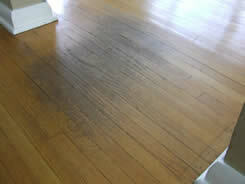 To request a free estimate on having your hardwood floors refinished, click here: FREE ESTIMATE. After a long week of sanding floors in Minneapolis, two of the three Voyageur Flooring owners made a trip up to the North Shore to fly fish for Steelhead Trout. The day was successful and a full report of their day fishing can be found on this website: http://www.in-depthangling.com/forum/showflat.php/Cat/0/Number/520153. Thanks for stopping by! Call Voyageur Flooring for all of your Hardwood Flooring needs! 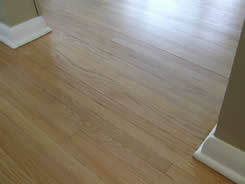 Voyageur Flooring is offering a FREE wood floor refinishing for up to 500 SQ. Feet. Seriously – we really are! You may be asking yourself, how do I sign up for this? GOOD QUESTION!!!!! All you have to do is go to Voyageur Flooring‘s wonderful website and request a Free Estimate and in the notes section, indicate you’d like to be entered into the FREE wood floor refinishing drawing. Voyageur Flooring is accepting entries through the month of March. Tell your friends by emailing a link to this blog entry or our Free Estimate page on our website. Click Here to go to Voyageur Flooring’s Free Estimate page and sign up now!